Explore everything from Anime to X-Files at Conbust 2015 this weekend…March 27-29! 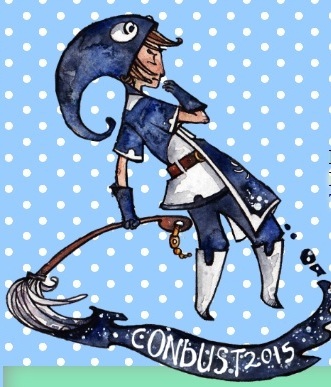 This year’s Conbust mascot art was created by Evanleigh Davis. It’s time for Conbust 2015 up at Smith College this weekend! Three days of workshops, panels, classes, demonstrations, role playing games and more–covering everything from Dr. Who, Welcome to Nightvale and Found Footage to Cosplaying Basics and many aspects of writing including character creation and publication–starts at 5 p.m. Friday at the college’s Seelye Hall. Partying in Rhode Island. Not as warm as I’d like, but at least the snow had melted enough that we could stand on her back porch. HOW GREAT IS THIS NAPKIN? The week kicked off with a much-needed change of scenery in Rhode Island: a couple of days with my friend Heather, whom I’ve known for years. The good news is we chilled out! And…the bad news is we chilled out. We enjoyed a nice CRIMINAL MINDS binge-watch session, ate Chinese food, and reveled in the fact that most of the snow had melted…what a difference a week makes! 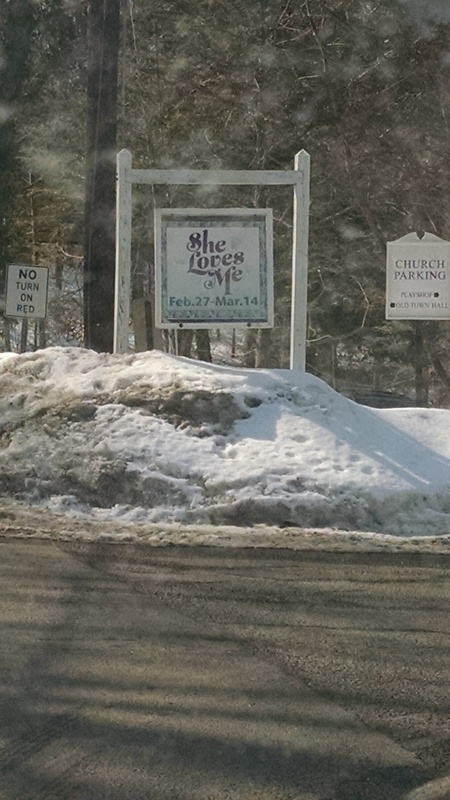 The mountain of snow around The Wilton Playshop’s sign. This photo was taken Sunday, March 8. It’s been so warm here everything’s melted, so I’m sure it’s down by now! At last, it’s warming up! What a difference a week makes…snow is melting everywhere! Last week I couldn’t see my parking space; it was under a thick layer of ice. Today it’s back to gravel. 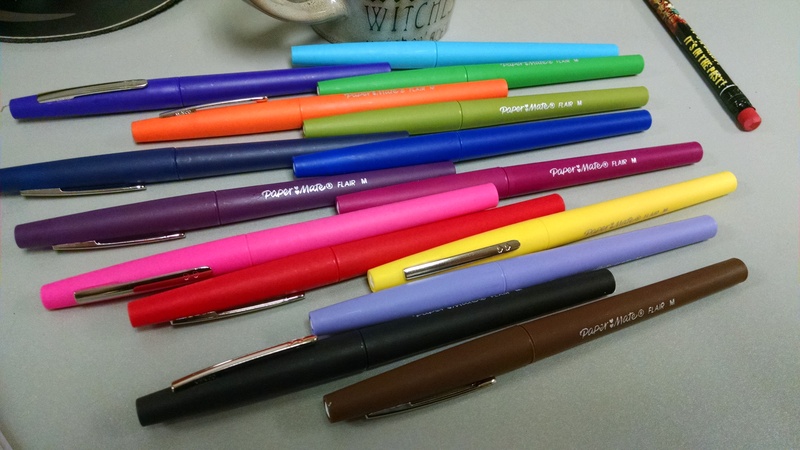 To celebrate, I got some colorful markers (they were on sale for half price at Staples!) and I went to see a production of She Loves Me at The Wilton Playshop in Wilton, CT, which was excellent (I had some issues with there being 35 minutes of exposition to get to the actual story, but that’s the fault of the book, not the production). I’ve been to nearly all of the community theatres in the area, and never that one. Based on their level of professionalism, I will definitely be going back. Who doesn’t love colorful felt tip markers? People who aren’t office supply geeks or under the age of twelve. 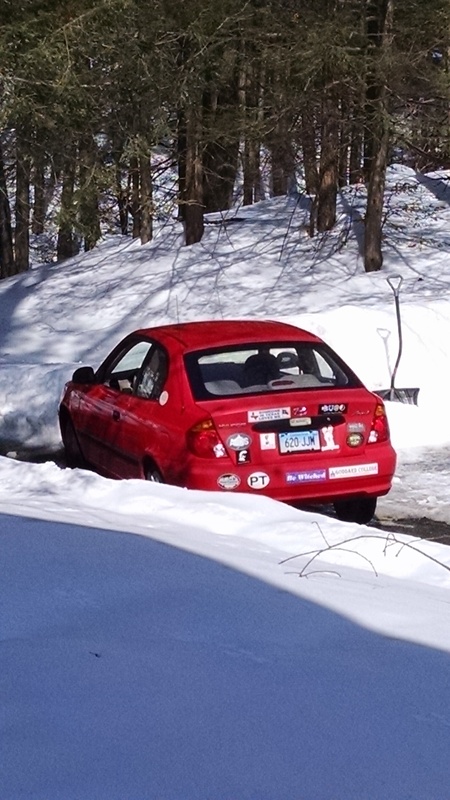 My car, stuck across the driveway. AWESOME quality of life here in New England. Why live anywhere else? I used to write a newsletter. I’ve now decided I can barely keep my blog going, so instead of trying to do both—and failing at both—I figure I’ll combine the two, and this way I can only fail at one.